So you need a document such as a police report from a distant country? I can advise you through the process of obtaining each and every police report from countries which issue them ( very few do not, North Korea springs to mind). Whether from Iran, China, Seychelles or any other country let me assist and guide you on the police certificate and the legalising process to make your application for residency all that easier. The same applies for marriage or birth certificates, often couples travel to distant romantic foreign beaches for their wedding, well I can get that certificate as well. Immigration requires that if you were either born in the USA, or apply with a USA passport, or sometimes if your last country of residence is the USA, then you will require an FBI police report (now known as an identity history summary check). Please note for the purposes of immigration a State police certificate Apostillised or not Apostillised is not acceptable. 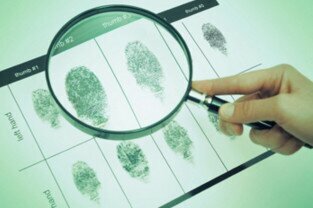 USA citizens and permanent residents can either apply directly to the FBI or may use a system of approved channellers who are authorised to process your fingerprints and documentation on your behalf. Please note to use a channeller you must be in the USA and the secure PDF certificate can be with you the very next day. IIf you apply directly to the FBI it will take 16 weeks currently. If you are a USA citizen or a Permanent Resident and intend to apply for residency please contact me first, this saves a huge amount of time. Fingerprints can be done here in Andorra (VERY low success rate!) or at one of the FBI approved finger print experts with whom I have contact. Otherwise a USA Embassy or law enforcement agency can assist BUT the prints MUST be of an extremely high quality else they will be rejected again and again. I have also managed to circumvent the requirements at Immigration where prints keep getting rejected. In all cases before embarking on this all applicants should familiarise themselves by also reading the above link. Obtaining the Apostille of a Federal document in the USA. Once these documents have been obtained and stamped as required it is always best to email them to me for preliminary approval at Immigration here in Andorra. Please remember also that you have 3 months from the date of the FBI police certificate, NOT the date of the Apostille, otherwise you will need to repeat the whole process again to be accepted in Andorra. This is a major reason why you may need to use the system I have set up to get the certificate easily and quickly. Apostillisation of Marriage Certificates, Birth Certificates, Divorce Certificates and other documents which are required for Andorran Residency from the USA. All certificates including but not limited to Birth Certificates, Marriage Certificates, Divorce Certificates etc must be apostillised in the State in which they were issued, and do not require to be sent to The Department of State, Authentications Office in Washington. 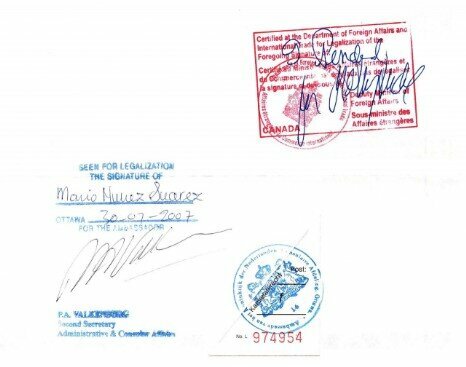 Once these documents have been obtained and stamped as required it is always best to email them to me for preliminary approval at Immigration here in Andorra. Please remember also that you have 3 months from the date of all certificates ( except birth certificate), NOT the date of the Apostille, otherwise you will need to repeat the whole process again to be accepted in Andorra. I have contacts in America that can get all and every certificate and get them Apostillised. The ACRO link covers all of the UK including Northen Ireland. You can apply from overseas, when it asks for proof of residential address it can be any where outside the UK, it is simply to prove that the applicant is who he claims to be. If you do have family or friends in the UK I would advise you use that address and request that upon receipt they send the document to Milton Keynes for Apostille. This is just to save time and postage. Please note that Milton Keynes can courier directly to any address overseas and the charges are much cheaper than having the family or friend send it. Please remember that these certificates too need to be Apstillised at Milton Keynes. List of Hague Convention countries. Identify which documents you are going to require for your residency application in your specific circumstances. Find out how these can be obtained by your country’s authorities and apply. If your country is a party to the convention, find out who is the issuing authority and how to submit your documents for the Apostille stamp. IF the documents cannot be obtained in any of these languages they must either go for OFFICIAL translation and be notarised as such in your country, and then BOTH the original document AND the official notarised translation must be Apostillised. Alternatively the original documents can be Apostillised without a translation but then officially translated in Andorra. This alternative should be used depending on the language and only if it is impossible to obtain notarised translations in your country. All of this may sound complicated but in most cases is quite straight forward and I am here to guide you. The same procedure for translations should be applied as if being Apostillised. After the correct legalising stamp has been appended the documents (and official translations if done) must then be presented to the Embassy of Spain OR France in your country for their stamp to be added. This is a most important additional step not required for Apostilles. The Embassies of Spain and France look after the interests of Andorra overseas, although on some occasions this needs to be explained to them !! In all cases I recommend to applicants to e-mail me the documents for approval in advance from Immigration. I can also assist with your questions, and please if in any doubt contact me as this is a vital step in your application and if the wrong stamp is applied it WILL be rejected AND you will need to resubmit the documents when corrected.